Remove the pieces from the clock. Have kids line them up in numerical order. Then ask them to line up pieces based on the number of sides. Have kids match shapes of the same color. Help kids compare the members of each pair, describing what is similar and what is different. 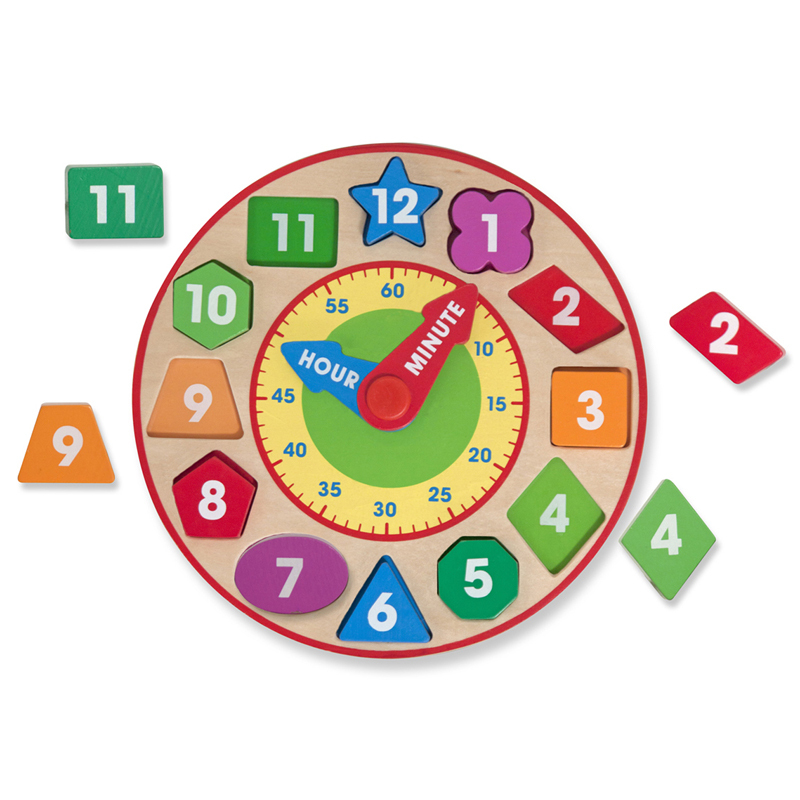 Use the hands of the clock to point to a number and ask, "What time is it?" Have the child place the shape that fits, saying the number aloud.